Given the current political climate, many of us in the archives, library, and museum worlds are worried about the possible reduction of support from the National Endowment for the Arts (NEA), the National Endowment for the Humanities (NEH), and other government programs. While I won’t get into politics here, I believe that the NEA and NEH may be temporarily reduced but will not be shut down. 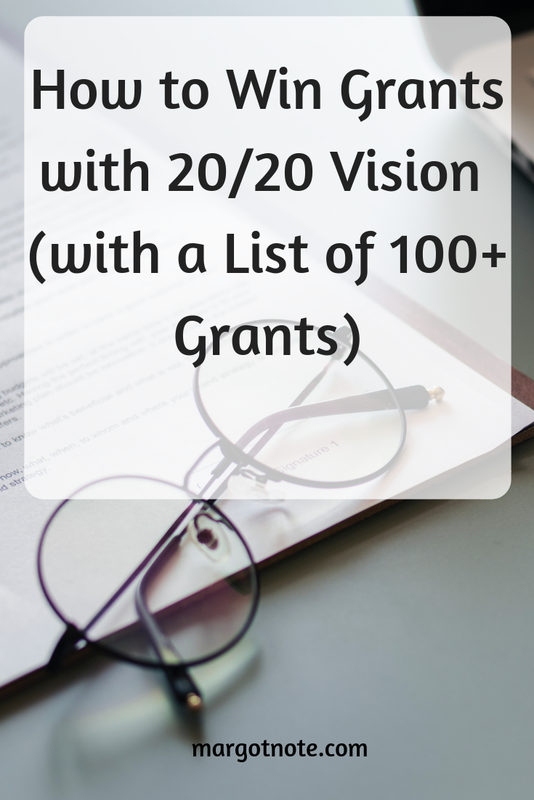 Even if they are, there are a number of grants offered by individual foundations and little-known organizations that are more than willing to support your projects. Having been an information professional for many years, I’ve dealt with all sides of the grant-making process. My graduate work in archives and records management was paid for by grant money, and I’ve led or participated in countless grant-supported projects. I’ve written, contributed, edited, and given feedback on proposals, and have served as a grant reviewer for the National Historical Publications and Records Commission (NHPRC) and other organizations. When I talk to clients, the most difficult aspect of proposal writing they experience is being too nearsighted and too farsighted. The archives, library, and museum staff know their collections so well and in such detail that they have difficulty explaining their projects in the most compelling way possible to outside audiences. They are myopic. On the other hand, members of the fundraising team of the home institution are challenged because they lack the insight and subject matter expertise to develop a strong and detailed proposal. They are hyperopic. Some development team members write proposals without consulting the information professionals on their staff and vice versa; I've seen this far too often than you'd imagine. Interested in learning more? Email me at margotnote@gmail.com. The small investment you make in my services will have 40 to 100 times the return when you get that grant! Over the past few months, I’ve gathered a collection of American-based grants that support information-based projects in the cultural heritage sector. I've focused on national, nonprofit funders; there are numerous state, regional, corporate, and civic-based organizations that aren't listed here. These listings are provided as a service to my readers. Please verify all submission deadlines and other information with the respective granting offices or agencies. All links are working as of 6/6/17.